Arlberg Hotel Apartments offer 1,2 & 3 bedroom apartments catering for up to 8 people. Enjoy fully self contained apartments with the benefits of staying in a Hotel, including an al la carte restaurant,bar & pizzeria,ski,board and clothing hire. All apartments have views to Bourke Street run, however our new Bourke Street apartments have direct views from both the lounge and main bedroom. Apartments at Arlberg Hotel offer ski-in,ski-out access, 23 hour reception and all linen is provided. Family rate consists of 2 or more children 15 years and under. Prices will vary if children are of adult age or no children are present. Apartment rates are room only, breakfast is available at an extra cost. APARTMENTS; These are not serviced during your stay. 2 Bedroom: Two storey, two bedrooms, two bathrooms. Downstairs bathroom has a corner spa. Open plan kitchen, dining and lounge area. Sleeps up to 6. Bourke St Apartments multi-level, 3 bedrooms, 2 bathrooms, one with a corner spa, kitchen, lounge, laundry, balcony overlooking Bourke Street on master bedroom. 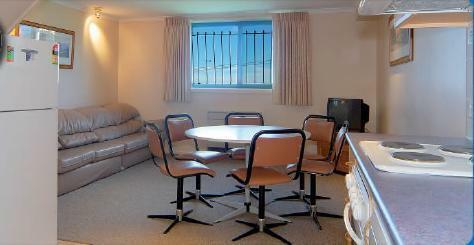 1 Bedroom Balcony apartment: Up to 5 share for families only. Price based on 2 adults and 3 children. If adult children add $80 per adult child per night.